Synology Inc. launched in Taiwan the new DiskStation DS418j, a budget-friendly 4-bay NAS server designed to help home and individual users to manage, protect and share data effectively. DS418j is powered by a brand-new 64-bit dual-core CPU and delivers an outstanding encrypted file transfer performance at over 112 MB/s reading and 87 MB/s writing under a RAID 5 configuration in a Windows environment. Coming with a 1GB DDR4 memory, which is twice the size of its predecessor, and over 40TB single volume raw capacity support, DS418j brings flexible storage management with excellent operation experience. "In the digital era, photos, videos, and digital assets are being generated faster than ever. For home and individual users, it is essential to have a private storage solution that can satisfy the needs for both large storage capacity and secure data sharing," said Michael Wang, Product Manager at Synology Inc. "Combining hardware innovations and rich applications, the 4-bay DS418j allows users to enjoy cloud synchronization and multimedia streaming at a competitive price." Designed with user experience and energy efficiency in mind, DS418j is equipped with adjustable front LED indicators, allowing users to precisely control and schedule the brightness in four levels. In addition, the model consumes only 21.22 watts in full operation and as little as 8.97 watts in HDD hibernation. DS418j runs on DiskStation Manager (DSM), one of the most advanced and intuitive operating systems for network-attached storage devices which offers a wide range of applications from backup to multimedia for home and personal use. With DSM, Synology has received numerous media accolades, including the PC Mag Readers' Choice for seven years in a row. 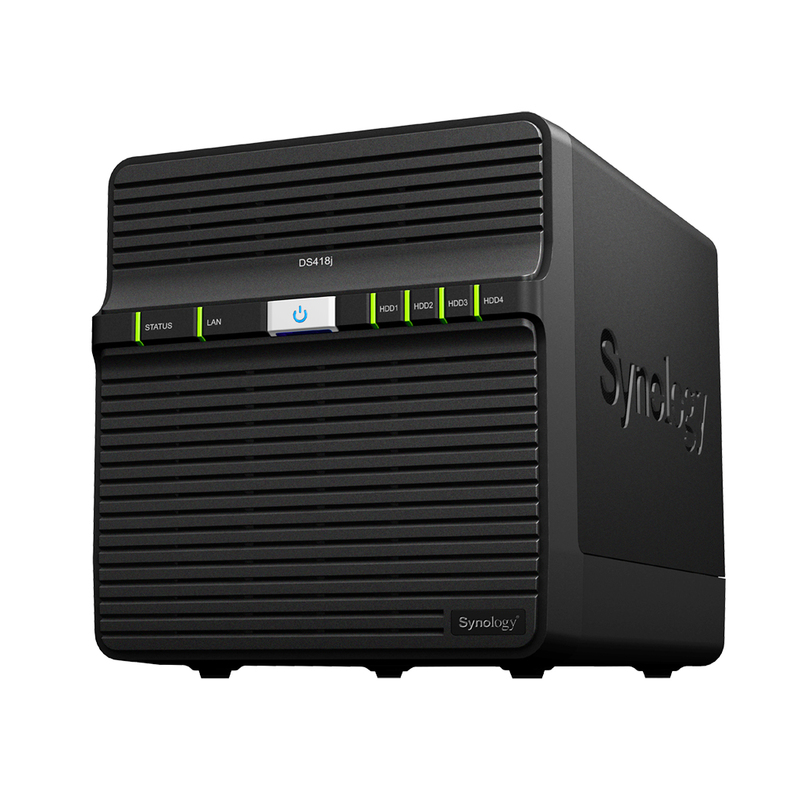 Synology DiskStation DS418j is available worldwide immediately. In the Philippines, it is available starting August 10 with SRP of PHP17,100.